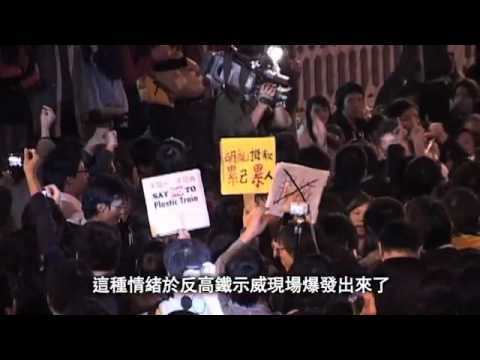 Synopsis The anti-XRL campaign that lasted from November 2009 to early 2010 is a landmark in the history of Hong Kong's social movements. 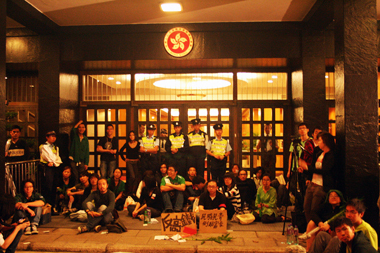 Although the motion was passed eventually by the LegCo after being halted three times, the campaign brought about seismic changes in the mass media. Heated discussions were sparked off on Facebook among journalists from the mainstream media. They even express opinions in their own names. In this documentary, journalists unfold how they frame the discourse of the campaign to study the paradoxical relationship between mass media and the social activists. Chan Ho-lun Fredie (b. 1983), graduated from the Department of Cultural Studies at Lingnan University in 2006. He worked as a TV producer in the Public and Current Affairs Unit of RTHK and now focuses on independent filmmaking. His documentary works include Good Luck, Comrades! (2009), Family Burdens(2009), The Anti-XRL Campaign - Media Perspective (2010), and Poor and Destitute (2011), The Way of Paddy (2013) and After Harvest (2014), Short Films included Loft in the air (2012), A Joblessman (2013), Beautiful Life (2013), The Woman Security Guards (2014). He has been involved in the development of feature films since 2011. "As the Taiwanese audience is much intrigued by the controversy of the Guang Zhou- Hong Kong Express Rail Link (XRL), the short film serves as a resource to their discussion as well as their understanding of Hong Kong youngsters. The enthusiasm of the Taiwanese audience in the dispute between Mainland China and Hong Kong came to me as a pleasant surprise. Undoubtedly, this would reassure Hong Kong independent film makers in their production and encourage them to strive for screening opportunities overseas in the future. " — Shared by Chan Ho-Lun Fredie, director of Anti XRL Movement, Media Perspective after attending the 4th Taipei Frank Festival in Taiwan, under the sponsorship of NAE.